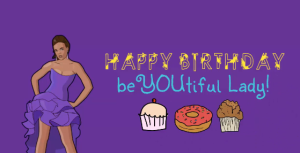 Send this beYOUtiful animated birthday card to a woman you admire who is having a birthday. Express your love with unique music and heartfelt words made just for you by Singer/Success Coach Levantay. This is my gift to you, use it to light up someone else’s world. Pass on the love….Happy Sharing!